Whenever I'm at the checkout line at a gourmet store, I'm always tempted by the gourmet bites for sale -- squares of caramel, a beautifully frosted cookie, a small chocolate sampler, a bag of nuts -- but I never know which ones to get. Buying them all to take home and try seems like too many calories and too much money. 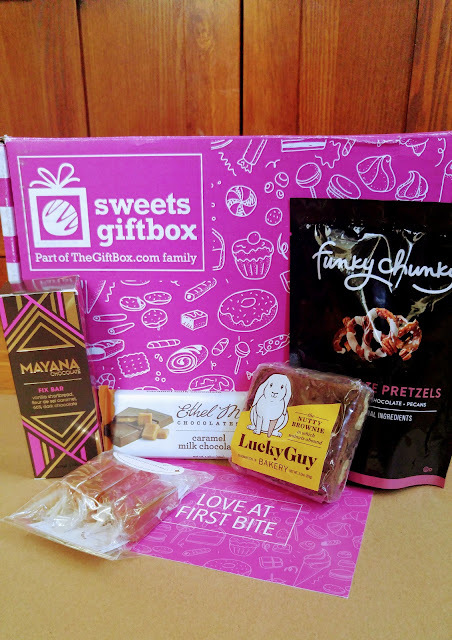 A more practical -- and fun -- solution is a subscription to Sweets Giftbox, a service that sends you 4-5 curated gourmet treats every month. 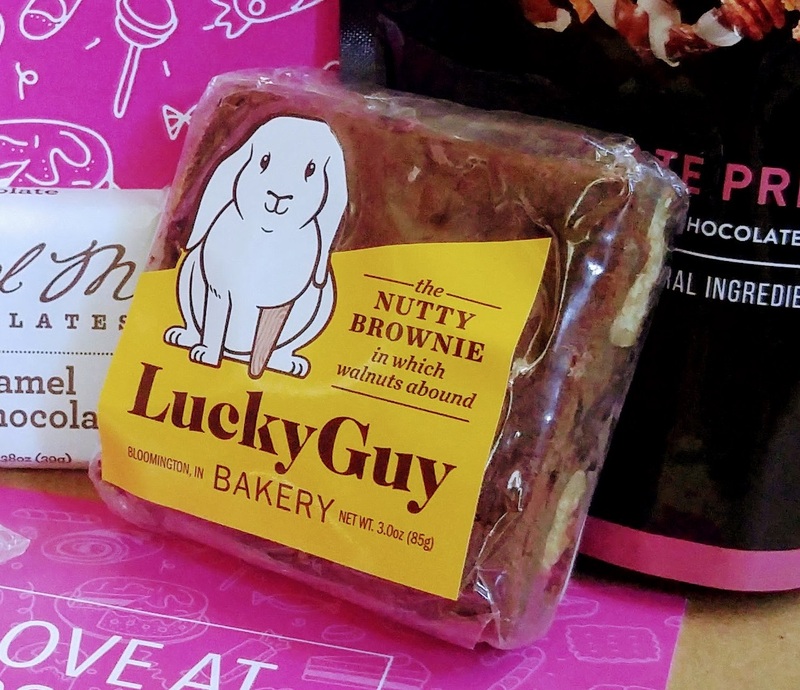 They find the best treats around and send them to you so you can have a delicious time discovering new favorites! 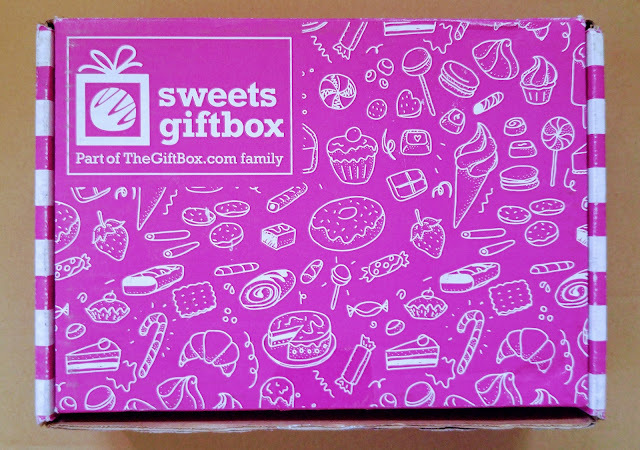 Sweets Giftbox sent me their latest box to try, and I'm so glad this happened in February, because each monthly box has a different theme, and February's theme was -- you guessed it -- chocolate and caramel. 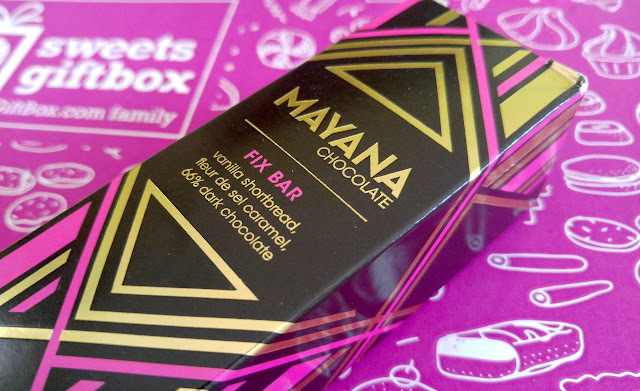 A Mayana Fix Bar, which like a gourmet Twix bar: vanilla bean shortbread cookie topped with fleur de sal caramel and covered with dark chocolate. I'm already a fan of the ordinary Twix bar, so the Fix Bar was absolute heaven. I'm craving another one already. It's going to be my new fix! 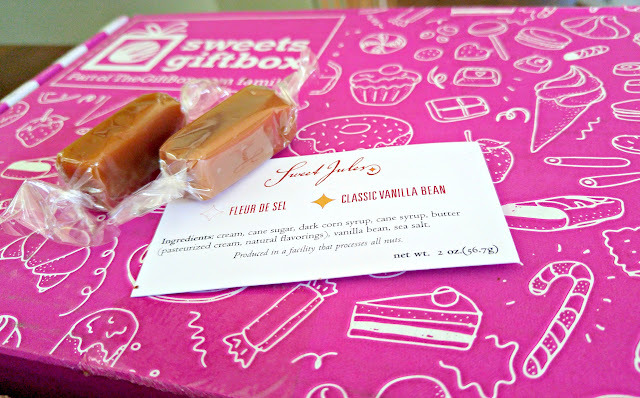 A pack of fleur de sal caramels from Sweet Jules Gifts. They are sooooo good. All I can say is that I'm glad that 3Po and Jammy have braces and that The Pea is recovering from dental surgery, so none of them can eat caramels right now and I can eat them all by myself. 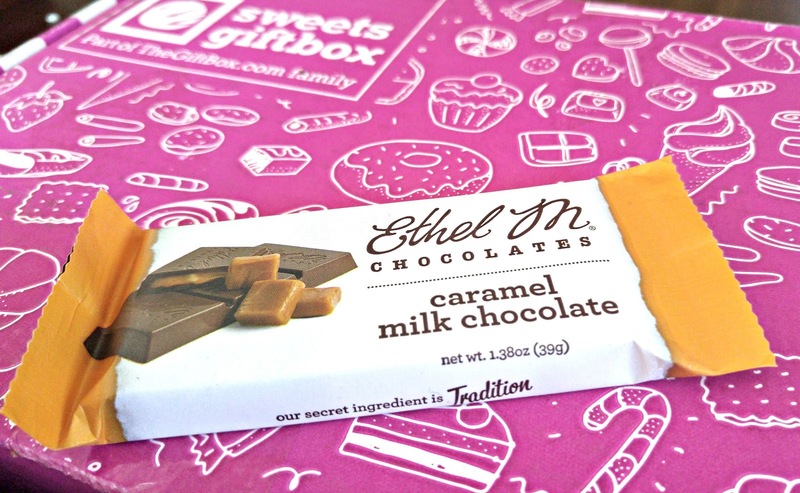 A caramel milk chocolate bar from Ethel M. Chocolates. We've visited the Ethel M. museum and factory in Las Vegas so I know how scrumptious their chocolates are, and I can't wait to enjoy this. Funky Chunky chocolate caramel pretzels. 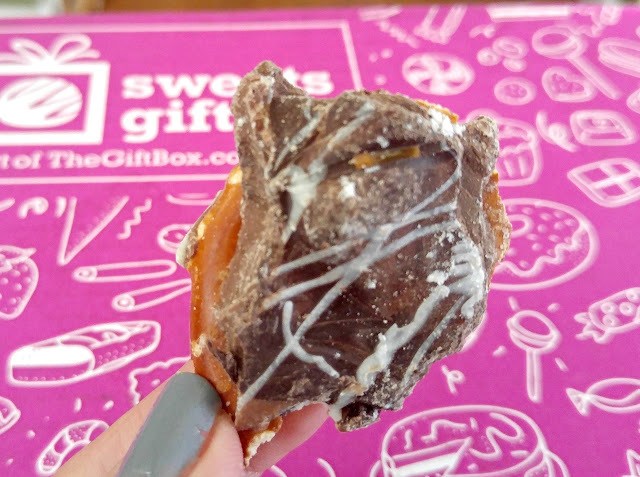 The salty crunchiness of the pretzels goes so well with the chewy sweetness of the caramel and the creaminess of the chocolate. Shhhh, I ate these all by myself. I couldn't stop! The kids attacked and demolished the Lucky Guy brownie before I had a chance to photograph it separately, so I wasn't able to show you how fudgy and rich the inside of this brownie was. It was absolutely divine! Other than Ethel M, I have never heard of these brand before, so if it weren't for Sweets GiftBox, I would never have discovered them (seriously, I'm already making plans to buy more of that Mayana Fix Bar). Other months will have different themes and different products -- think of gourmet chocolates, cookies, candies, popcorn, nuts, etc... You won't know what's in the box beforehand (that would spoil the surprise!) but based on the quality of the treats in the box I received, I think I trust their taste. You can sign up for a monthly subscription for $25 per month (1 box per month), or you can sign up for just a single box for $30. Shipping is included in the price. That's an average of $5 per treat, which might sound pricey, but I looked up the Mayana Fix Bar online (I told you I was serious), and it costs $8. 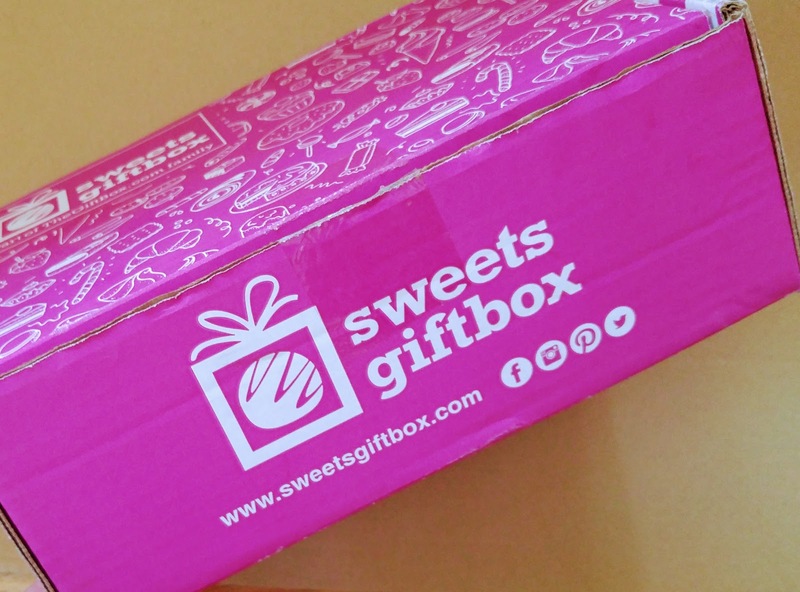 So you're getting a curated box of goodies at a great price. It's a wonderful present for a friend or a wonderful way to treat yourself to new flavors and yummy discoveries every month. Use the code below to save on your first Sweets GiftBox and taste it for yourself! Disclosure: I received a sample box to facilitate my review. The views and opinions expressed here are my own. We've owned a minivan for 12 years now, and it has served us well. 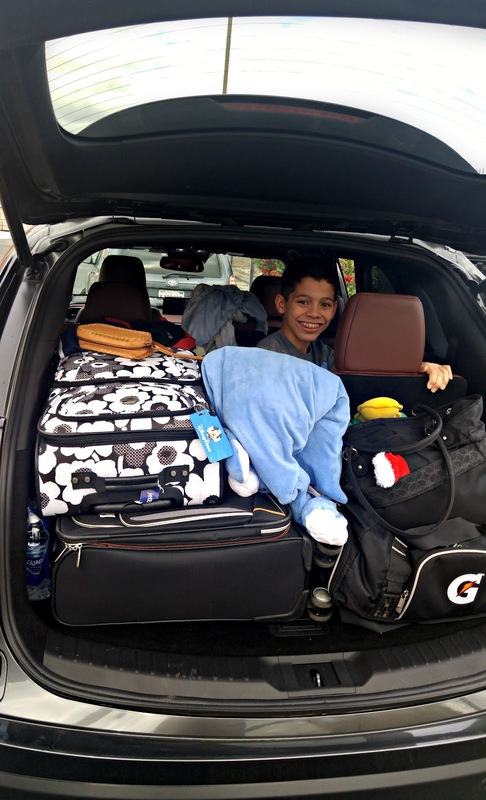 But now that our kids are older, we're finding that we need less vehicle space -- no more car seats, strollers, and diaper bags. The van is getting older and as we start to think about replacing it, we find that our eyes are beginning to wander towards SUVs and crossovers. These vehicles still have the space that we need, but they're a bit more sleek and stylish! Sleek and stylish is certainly the vibe given off by the Mazda CX-9, an SUV crossover designed for families who need performance in a vehicle as much as they practicality. We test drove the Mazda CX-9 during our holiday road trip to Hollywood and Disneyland, and I have to say, it certainly made the 6 hour (8 with traffic!) journey between Northern and Southern California a lot easier to bear! 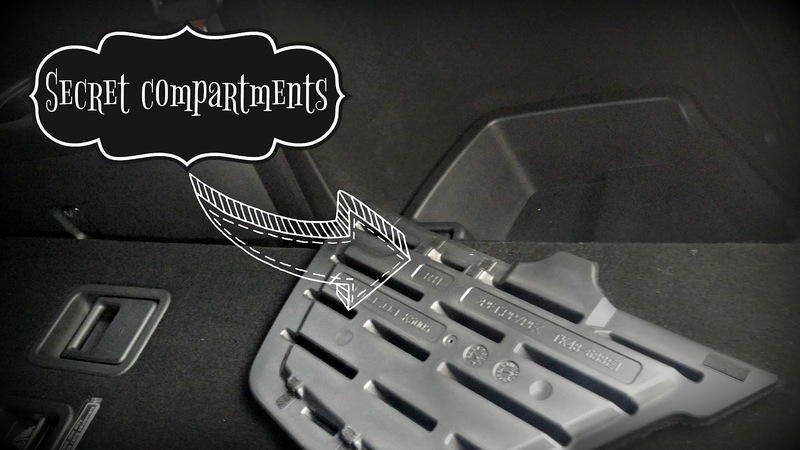 Before you even step inside the CX-9, you know instantly that this is a luxury vehicle. The shape is sleek and aerodynamic, and the body has chrome trim throughout. Even the most basic trim level comes with 18-inch wheels, and 20-inch wheels come standard with the Grand Touring level and up. Our vehicle came in a handsome slate grey which really adds to the air of sophistication. The interior is just as beautiful. Some of the plastic interiors (like the dashboard trim) almost look like rosewood and leather, The leather seats are nice and wide. They're so comfortable, it honestly feels like you're relaxing in a recliner. The CX-9 does a great job of drowning out the outside noise, so you get a smooth, quiet ride. 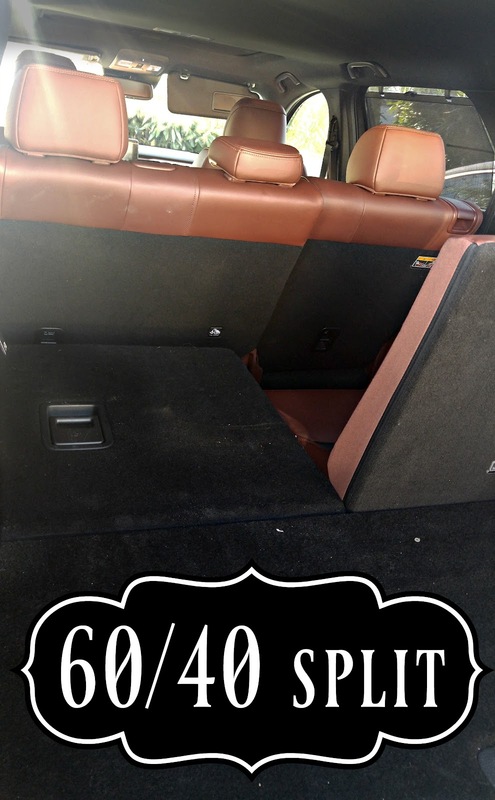 The only thing that keeps me from giving the CX-9 a perfect score for comfort is that the roof is quite low. I'm 5'8" and my husband is 5'11" (which is decently tall but not towering), and we both felt like the ceiling was touching our heads. 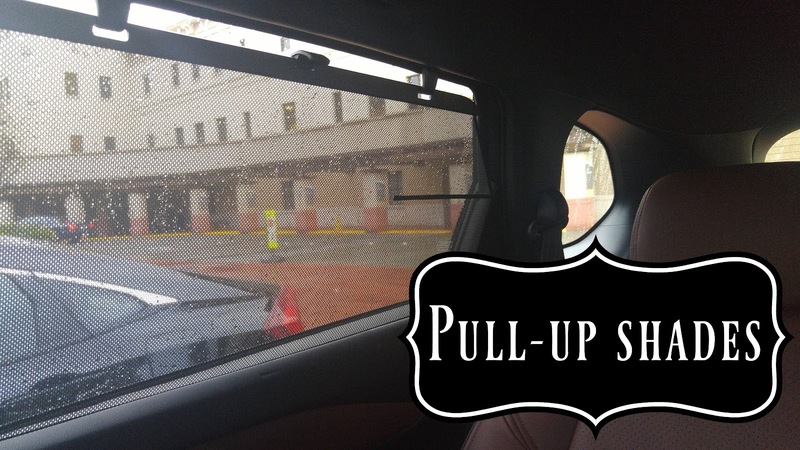 I have to give extra points for the pull-up window shades, which is soooo convenient when you have young kids. These shades are perfect for when your kids nap in the car. The CX-9 comes with 3rd row seating, and I was surprised at how roomy the 3rd row was. 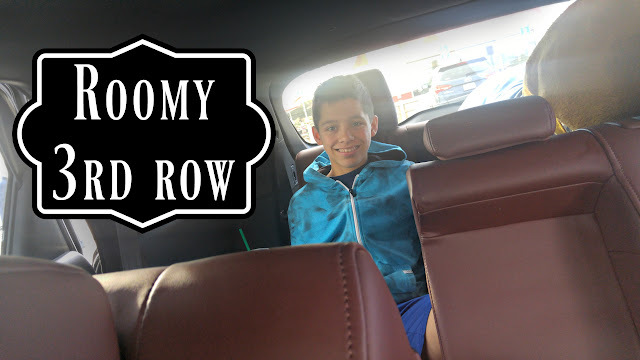 In many vehicles with 3rd row seating, my 13 year-old twins have to sit with their knees practically to their chest. 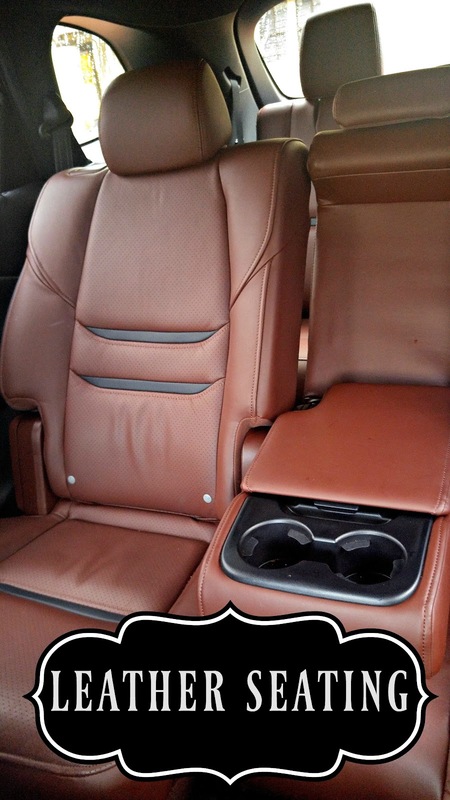 But in the 3rd row of the CX-9, they were able to sit comfortably for a couple of hours without suffering from stiff legs. That being said, I wouldn't sit a tall adult (5' 2" and up) there for more than an hour at a time. The split seat capability (60/40 in the 2nd row, 50/50 in the 3rd row) can really improve the space issue, because if you only need one seat in the third row, you can adjust the seat in front of it to give the 2nd row seat a little less legroom, which gives the 3rd row seat a bit more legroom. There's plenty of legroom in the 2nd row, so if you have two smaller adults, you can seat one in the 2nd row and one in the 3rd row directly behind, and share the legroom! 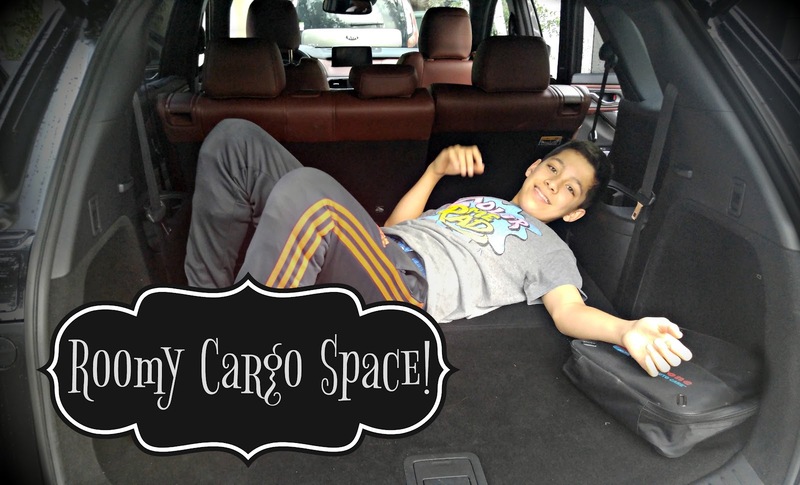 With the 3rd row of seats down, there is a good amount of cargo space. I've read reviews of this car not having enough cargo space, but that really wasn't the case for us. With the half of the 3rd row up and half down, there was enough luggage space for our family of five on a five-day trip. I love how the rear has so many little storage compartments. Removable panels reveal little spaces to store emergency packs, extra clothes (a must if you have little kids), even your purse or camera. It's the perfect hiding place because no one can see what you're storing inside! Driving up mountains and passing cars on the highway was a breeze thanks to the 2.5L engine. You barely need to touch the gas pedal and this car immediately begins to zoom zoom zoom! It's definitely a lot of fun to drive (and the responsiveness definitely makes me feel safer in situations where you might need to speed up quickly). You'd think this vehicle would be a real gas guzzler, but since it only have 4 cylinders, not 6, the fuel efficiency can be as good as 22 city/28 highway. 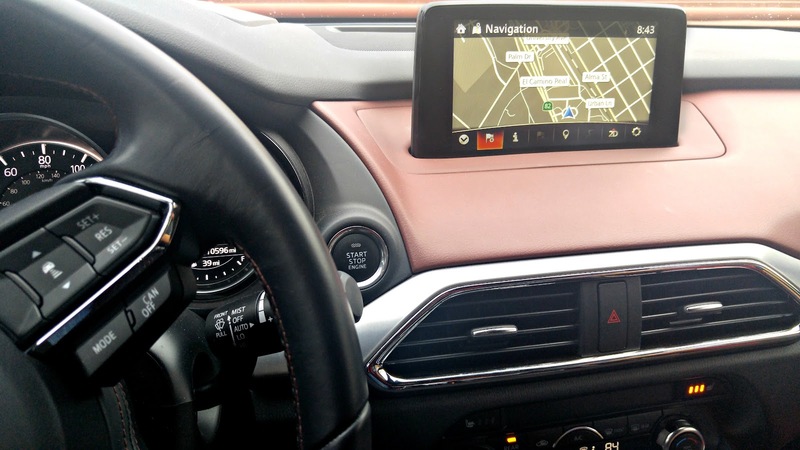 The CX-9 has all the latest tech: color LCD screen with navigation, compass, and trip info, bluetooth connectivity (and lots of charging ports throughout the vehicle), display projection on the windshield, stereo sound, all the bells and whistles. But I have to admit that the touchscreen infotainment system and I did not get along at all. The controls were not intuitive, and even after a week of daily use. Also, I found the projected display (the LCD screen is projected onto the windshield) distracting. Unfortunately, the projection always defaults to "on"! I had to devise my own workaround (lower the viewing angle) to get it to disappear without my having to fiddle with the controls every single time I started the car. Where Mazda does get the technology right is in their safety features. The backup camera, blind-spot monitoring, and rear cross-traffic alert really helped us during our road trip. We felt extremely safe in this car, even when driving in torrential rain at night. The CX-9 is offered at 4 levels: Sport, Touring, Grand Touring, and Signature. If you can afford it, I would definitely go for the Touring trim level or higher, because you get quite a few luxury features as standard, like leather seats, power front seats, power hatchback and the cool safety features. 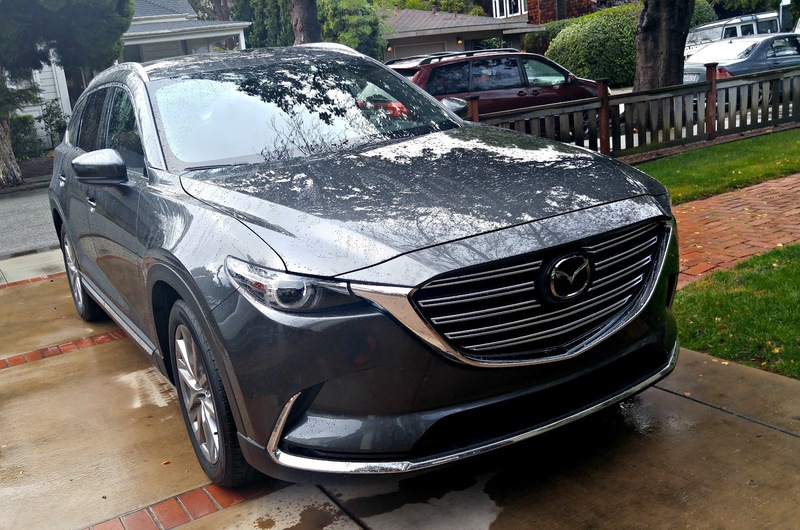 You can get the CX-9 at its highest level (Signature), fully loaded, for under $45,000, which is a great value compared to other competitors in the 7-seater SUV field. Add in the decent (for its class) fuel economy, and the CX-9 should definitely be part of your short list when shopping for a new vehicle. 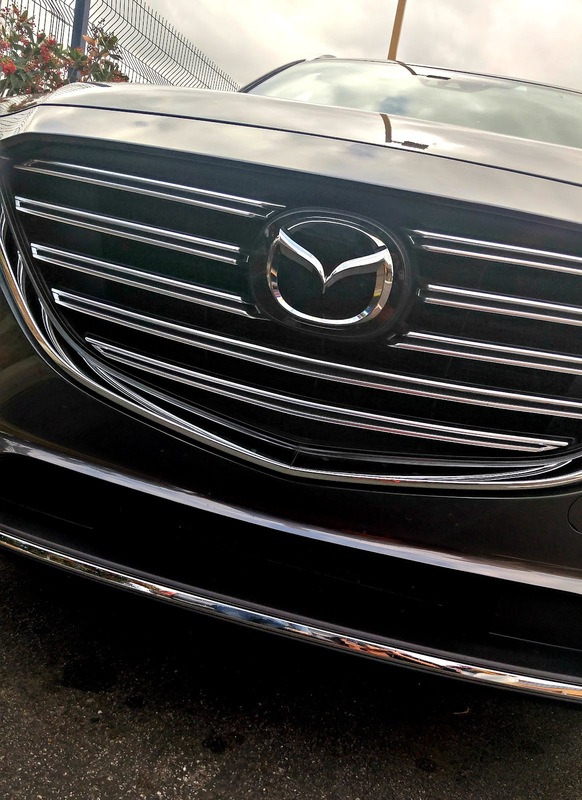 We had a great time with the Mazda CX-9 on our road trip. It's a comfortable, good looking vehicle with the right amount of space and power for our family's needs. 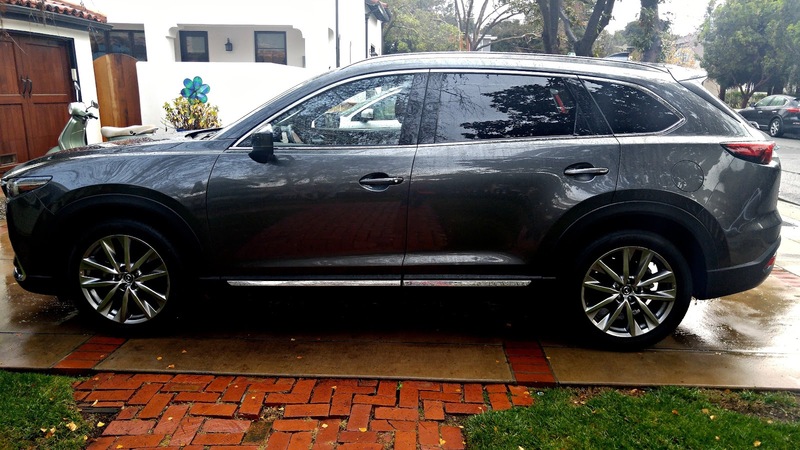 Check out the Mazda CX-9 at your local Mazda dealer and take it for a test drive! Disclosure:. DriveShop lent me the use of the Mazda CM-9 for review purposes. The views and opinions expressed here are my own.